What’s a word for that feeling when you finally arrive at the airport? Deadlines and tasks finished in a flurry, plants left unwatered, clothes in a shamble in your bag. “As long as you’ve got your passport, you’re ok,” we were told. 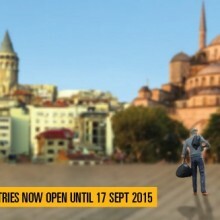 The moment had finally come, the point when you get to the airport and no more can be done. A collective exhale was shared as each person arrived in the departure lounge at Melbourne airport. We were here! Well almost. Fast forward 24 hours as we touched down at the Barcelona airport. Now, we were really here. The sunshine felt like it was life giving. The colours of both the buildings and landscape whizzed past from the taxi… terracotta, oranges, browns. The warm colours and the warm sun made us feel pretty rosy, and with an unstructured half-day before us, we decided the best way to tackle the jetlag was to stay outside. 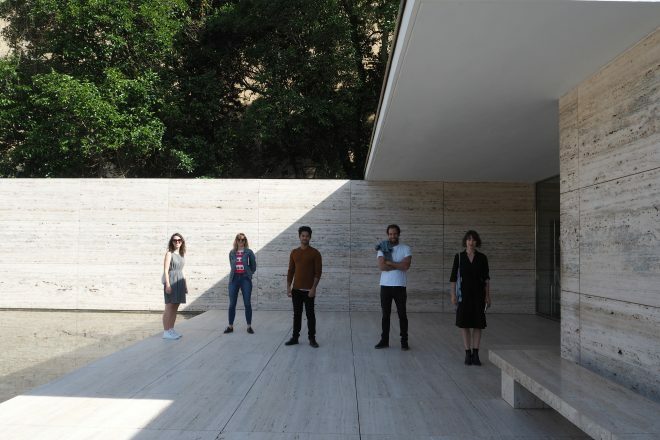 First stop, the Barcelona Pavilion by Mies Van der Rohe. Arriving on the top of Montjuïc Hill, the incredible view of Barcelona opened up before us. Excitement built as we pointed out buildings we recognised, some of which we will be visiting over the next few days. As we descended the stairs down the grand hill, our bubbling chatter turned quiet as we approached the Pavilion almost as a procession. Designed as the German National Pavilion for the Barcelona International Exhibition (Expo), I couldn’t believe it had been designed in 1929. It felt timeless. 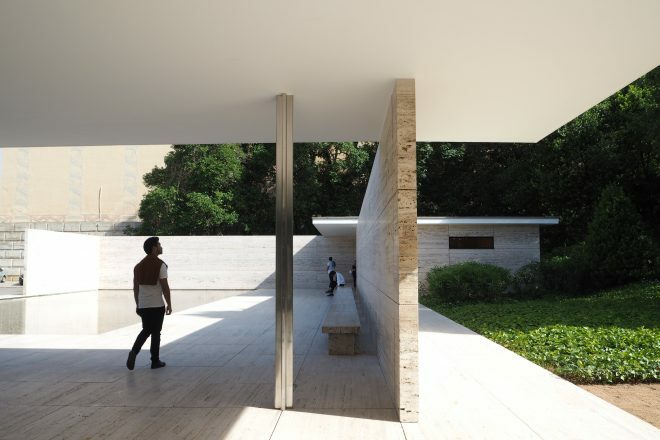 Despite it being made of glass, steel and beautiful slabs of marble, the building felt like a warm and rich space. It felt very peaceful. The water reflecting on the soffit animated the rigid structure, the deep red curtain moved in the breeze, and the echoes of chatter and laughter bounced through the building. It was interesting to see how each of us absorbed the building. Concentrating on the plan, I walked between the thin blade walls, the roof felt like it was floating above me. Things I had never properly understood from drawings, but instantly understood now having experienced in person. 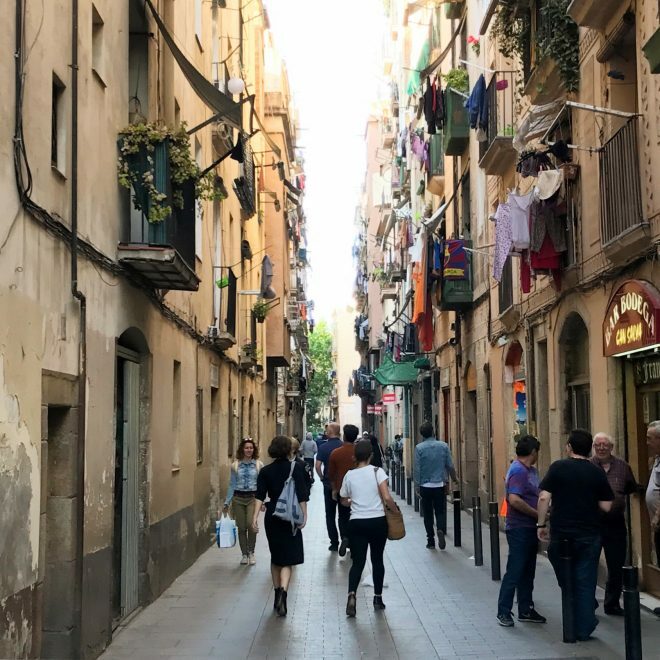 Next stop, we headed towards the Plaça dels Angels square, weaving through the beautiful back streets of Barcelona’s old city. Colour and life were everywhere as we walked. Clothes hung on balconies, people sat on steps in the street, small public squares cropped up around unexpected corners. The square was even more full of life. We discussed the skateboarding mecca, and how the lack of rules encourages occupation. The public space is not adorned with architectural seating or a feature public toilet to attract the crowds, it is the people that occupy the space that bring the life. 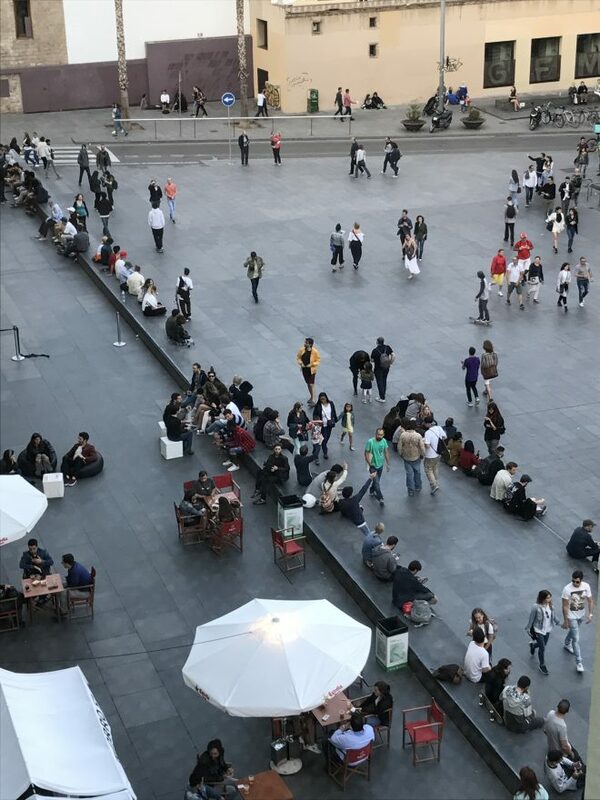 Adjacent to the Barcelona Museum of Contemporary Art by Richard Meier, the square has a simple ramp, and a wall for people to sit on; it is a public space open to all, no prejudice. This was reflected in the diversity of people hanging around. Sitting in the sun, excitement had turned to relaxation, we happily took a seat alongside the crowd with a beer in hand. Day one, what a start! Follow #2017DuluxStudyTour for more live updates.